Three months after two men were charged for the construction of an illegal airstrip in Lethem, Chief Magistrate Ann McLennan yesterday remanded the prime suspect to prison after he was charged with the offence. Hutshan Ramsingh called Seon Singh, a 44-year-old businessman of Tabatinga, Lethem, appeared in the Georgetown Magistrates’ Courts, and was not required to plead to the indictable offence. 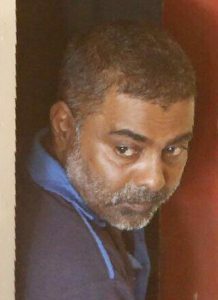 It is alleged that between August 10 and August 13 at Mandacoro Island Savannah, Santa Fe, Lethem, Ramsingh conspired with persons known and unknown to facilitate the illegal landing of an aircraft on an unauthorized port of entry. The accused was represented by Attorney-at-law Jerome Khan in association with Attorney-at-law Priyanka Ashley Sookraj. The lawyer in his application to secure bail for his client told the court that Ramsingh is innocent of the charge. He added that his client was taken into police custody last August and was released on station bail. The lawyer went on to tell the court that after his client returned to Lethem, armed men entered the man’s premises and being fearful for his life, he fled the jurisdiction for his safety. The court heard that the accused contacted his attorney and he was told to surrender himself to the police, which he did. The lawyer further stated that he believes “some high ranking police officials” are involved in the discovery of the illegal aircraft and airstrip, and they are not being investigated. Police Prosecutor Arvin Moore objected to bail being granted to the accused, citing that he is a flight risk and if bail is granted it is likely that he would not return to court for the trial. The prosecutor’s objection was upheld by the Magistrate and the accused was remanded to prison. He was instructed to make his next court appearance on March 5 at the Lethem Magistrate’s Court. Nathan Hamilton, 21, of Lot 107 Beverley Hills Drive, Lethem, and Wazim King, 37, were charged last September after they appeared before Principal Magistrate Judy Latchman. It is alleged that the two individuals conspired with Ramsingh to build the illegal airstrip. Both defendants are being represented by Jerome Khan. They were both released on $400,000 bail each and the trial is being conducted in the Lethem Magistrate’s Court. According to reports, the illegal aircraft and airstrip were discovered by police about 10 miles from Santa Fe. Kaieteur News understands that the airstrip was previously destroyed by the Guyana Defence Force (GDF). Hamilton and King were allegedly hired and paid to rehabilitate it. It is believed that the plane and the airstrip, were being used for illegal activities.